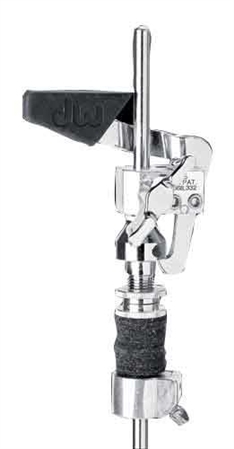 Shop Drum Workshop 505SP Hi Hat Clutch from AMS and enjoy Fast & Free Shipping. The Drum Workshop Hi Hat Clutch is the easy way to add a new dimension to your double-bass technique. The DWSM505 Drop-Lock Clutch closes with a click of the oversized, rubber-coated latch. This is a must when using a remote hi-hat and/or double pedal set-up. The most pro choice you can make for a few bucks. It locks down nicely in several places which to me makes it not only dependable but reliable. I would recommend it to any gigging drummer who uses double base frequently. Makes no sound at all. Ain't that nice?. Was reconsidering at first because of the price and the knowledge of the other clutches out there, was it worth thirty bucks? Oh yeah, now I can smoothly move to closed double base to open single with no additional sounds that reminds one of cheap gear in the garage days, buy it.